Rare and unusual Cartier Helm 18K gold, enamel and sapphire antique pocket watch circa 1910. 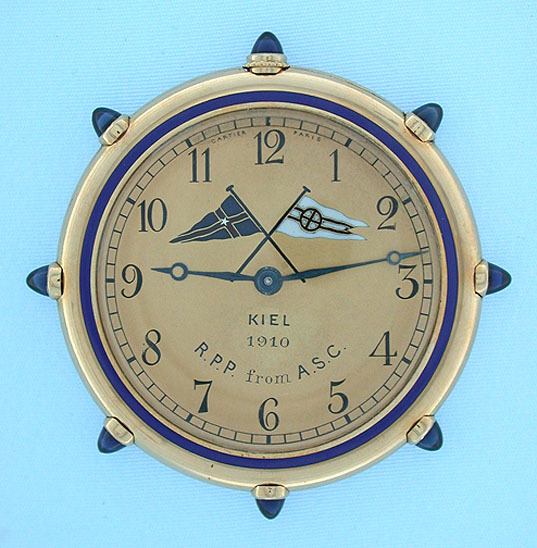 Gold dial with enamel yachting pennants and presentation from the original owner and signed Cartier Paris. 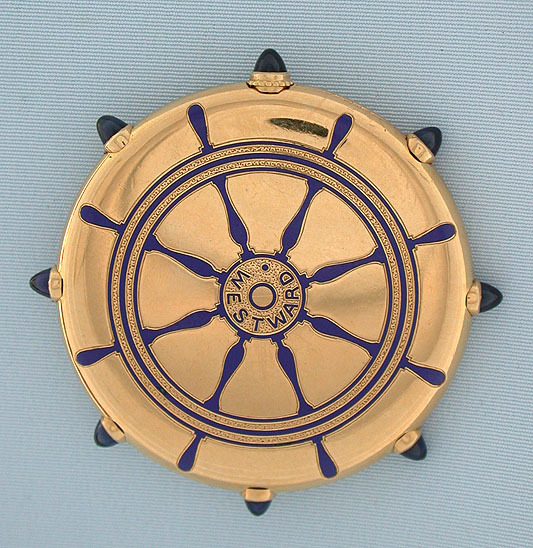 The bezel with a blue enamel decoration, the band with sapphires, the back with an enameled ship's wheel marked Westward. 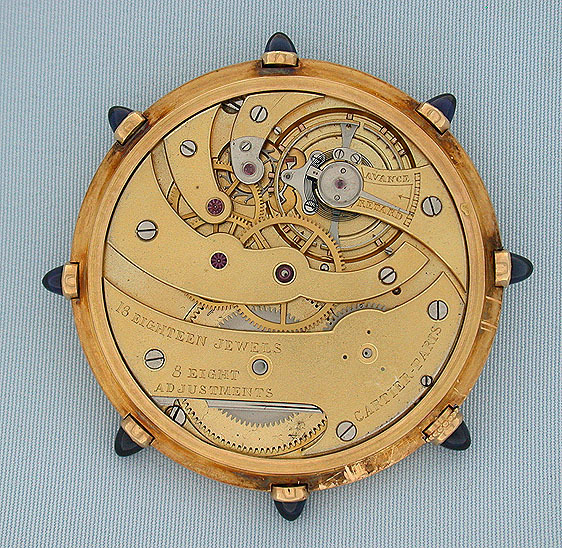 Gilt slim 18 jewel 8 adjustment movement. The Yacht Westward was built in 1910 and was designed for racing. She crossed the Atlantic to take part in the famous Kiel Regatta winning 3 out of 4 races leaving a frustrated Kaiser Wilhelm II behind on his Meteor IV. She was sold in 1912 and became part of the German fleet. 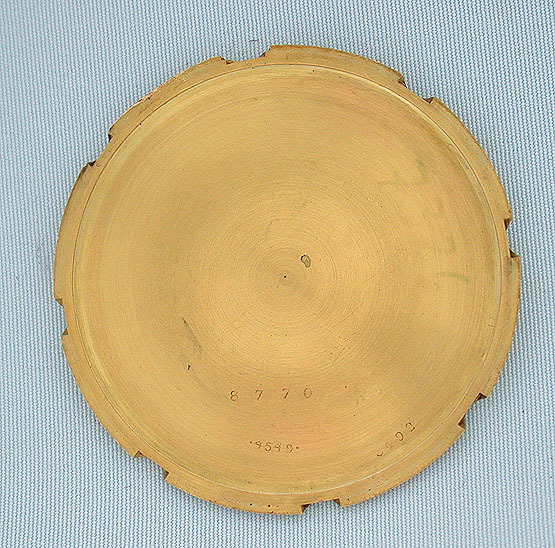 After WWI she was sold to an Englishman who subsequently sold her Thomas Davis. In his will Davis stipulated that the yacht be properly maintained or destroyed, and in 1947 she was intentionally sunk. Copious information included with this watch.